Directv HR24-500 HD DVR. Sold as working condition. Receiver # 0331 8540 6445. Up for sale is a used Dish Network Hopper 3 with the 52.0 Remote. The Hopper 3 has 16 tuners, wifi connectivity and can connect with Joey receivers that are placed in other rooms. The condition of the receiver is used with normal wear and tear, slight scuffing and scratches. DIRECTV H24 TV Receiver. Condition is New. Shipped with USPS Priority Mail. 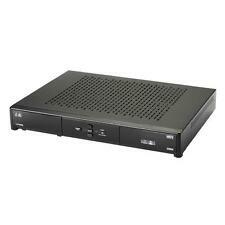 DIRECTV HR24-500 (500GB) DVR. Condition is New. Shipped with USPS Priority Mail. New H24 receiver. These are NEW units. DirecTV may have a RECONDITIONED sticker on these receivers. with the receiver. If they run the card for verification they may show this unit being. Dish Network OTA Tuner USB Digital Dongle Adapter for Hopper. Condition is Used. Shipped with USPS First Class Package. Used. No longer have service. 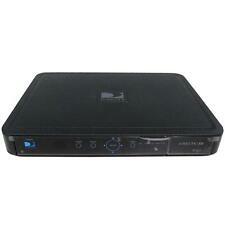 DIRECTV HR24-500 (500GB) DVR. Condition is Manufacturer refurbished. Shipped with USPS Priority Mail. ▪HDMI Cord Will be Included but Not Original to Product (not pictured). ▪NEW NO BOX. Dish Hopper 1. Condition is Used and sold as is. Works perfectly I just upgraded and don’t need this one anymore. It come with one HDMI cable, one antenna to communicate with other receivers and a voice controlled remote. This receiver is from directv and is reconditioned. It comes with a power cord and remote that's not in the picture. You need to have a directv account to activate this box. Contract free and no lease fees! Power cables all included. The Sonicview USB stick hasn't been checked. Not sure what's on it. Box, manual, receiver unit, serial cable, USB stick. The unit is working. The item pictured is the item sold. DIRECTV H24 TV Receiver. Condition is Used. Shipped with USPS Priority Mail. Digital Video Recorder (DVR) capacity1. View DISH High-Definition (HD) and Standard-Definition (SD) programming; view MPEG-2 and MPEG-4 programming. DVR Recording Capacity: 350 hours SD, 55 hours HD. DISH On Demand with Video On Demand (VOD). Pictures are the best description no cords no remote.. Check out other listings..
DIRECTV H25-700 TV Receiver. No contract to use it. DIRECTV H25-700 TV Receiver working unit, looks great, condition is Used. Price includes Shipped by USPS Mail to US only. No longer have Directv so I do not need it. This was purchased by me so there is no contract when you use it. You should call them first and give them the serial number and confirm. Power cord and remote are included. I accept prompt payment by paypal only. 4.5 out of 5 stars - DIRECTV H25-700 TV Receiver. No contract to use it. 108 product ratings108 product ratings - DIRECTV H25-700 TV Receiver. No contract to use it. In excellent working order. No remote, just the receiver. Does have a few scuff marks up top - see photos. Used, tested to turn on only. No cords included. Brand new DirecTV GENIE HR54-200 with HDMI cable, remote, and power cord included. I wasn't able to change the model number on the main ad which says hr24. These are hr54 - 200 Genies. Trending at $105.00eBay determines this price through a machine learned model of the product's sale prices within the last 90 days. This listing is a DirectTv HD Reciever and comes with a remote and power cable. Power does light up when plugged in so it will work when set up properly. 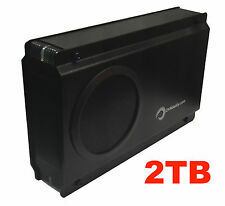 This is a Dish Network VIP 222K Dual Receiver. It is used and was working perfectly when removed. DISH Network VIP 222 TV Receiver. Condition is Used. Shipped with USPS Priority Mail. Receiver and 2 remotes. NO POWER CORD or ACCESS CARD. Audio/Video Outputs: Coaxial F, Component (YPbPr) RCA, Composite Video RCA, Digital Audio Optical TOSLINK, S-Video MPN Data Interfaces: RS-232 Port, USB Port Features: Free to Air. Does Not Apply. Condition is Used. Note that there is no card so DirecTV has to provide one.